The Days Inn Seaside Heights/Toms River hotel offers an inviting, comfortable, and unique experience that is among the best in Seaside Heights hotels. Our service is the focus as the warm, functional, and unique designs are a perfect complement to our focus on your stay. Each room features imported porcelain wood flooring, with custom designed accent furniture. Enjoy the beach, boardwalk, and bars/clubs, knowing the hotel is waiting for you after a great day. 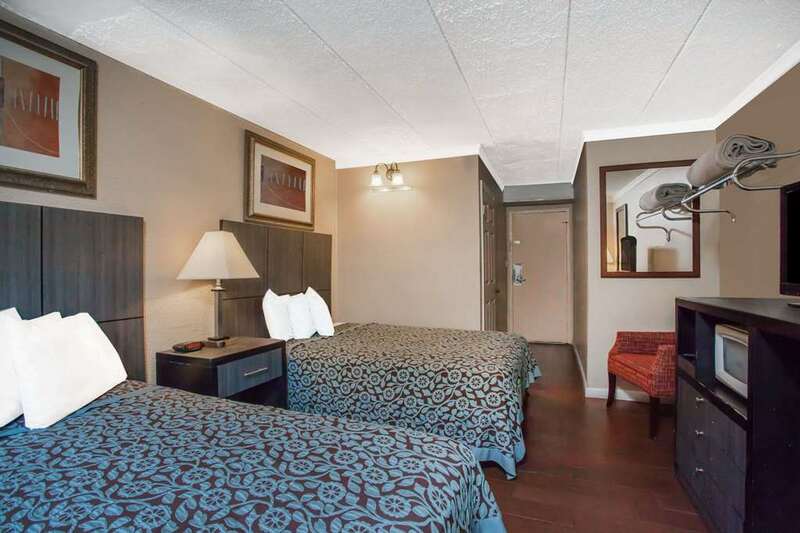 EACH ROOM FEATURES - Cable/satellite TV High-speed wireless internet - no charge Desks with ample writing space Daily Turndown service Check in is after 3 PM. Check out before 11 AM. FREE PARKING NEXT TO HOTEL Our Free Parking next to the building means you will have quick access for your whole stay. Many guests choose to leave the car for the whole weekend because almost everything is in walking distance. OUTDOOR POOL Stay fit during your stay or get your tan on. With our outdoor pool open from 9 AM - 9 PM daily, stay fit, stay cool, or take home a tan to brag about, weather permitting. BUSINESS CENTER If you are balancing work and play, visit the first-floor Welcome Lounge for a place to use Wi-Fi and still feel relaxed. Wi-Fi is available throughout most of the building and Printing services are free of charge at the front desk. Only two blocks to the Beach and Boardwalk, on-site outdoor pool with kids area, outdoor deck area, indoor guest lobby area, Wireless Internet available throughout hotel.